Forgiveness. You Can Do It. 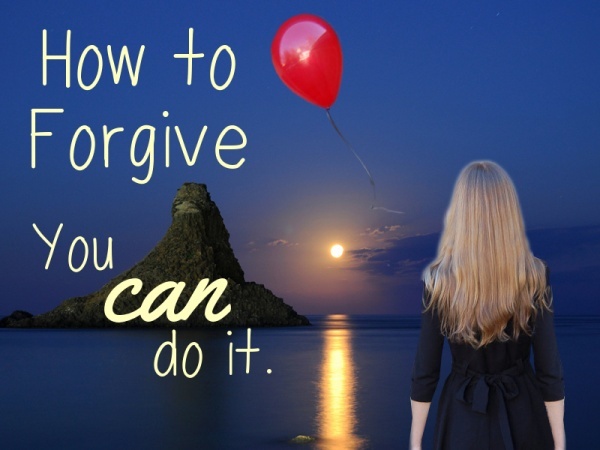 Are there people and/or things in your life that you can’t forgive? For instance; your friend who owes you money, your brother who convinced your parents to give him their old car instead of you, your crotchety boss, your cheating ex, even yourself? How do we let go of our anger and frustration? Saying to forgive simply isn’t quite the answer we are looking for, more so the actual process of forgiveness. How on earth are you supposed to forgive your filthy, lying, cheating ex-husband for wasting 6 years of your life, dragging you through a hellish battle over splitting the assets and for taking the car? That’s a lot to forgive and finding anything good among that isn’t the easiest task in the world but it will be your most beneficial. It hurts immensely, it enrages you. But guess what? Just because you forgive someone doesn’t mean you have to have them as your BFF. Think about any and all reasons why this can be a good thing, why the tremendous hurt you feel can make you better and even why that time you thought was wasted wasn’t wasted at all. Take it as a stepping stone in your life. A mighty painful one that you are overcoming with your strength and fortitude. You may never understand what lay beneath the doings of who hurt you or why you endured such a thing but it isn’t necessary to understand it in order to move on from it�and bestow forgiveness. Take your life into your own hands and realize that these bad feelings are only just that, feelings. Nobody else deserves the power to control your life by you living among�those feelings. Make your life better by being okay with the things that didn’t work out the way you thought they would. Let yourself begin to envision that it wasn’t the only path for you and that you can lighten your emotional burdens by trying to get excited over what may lay ahead. Even if its hard in the beginning be susceptible to reasons why your circumstances may be a good thing. It may be hard to see at first but remain open to that and remind yourself of the things you are grateful for. Forgiveness will be a process and will occupy many of your thoughts but soon you will begin to shift into a happier place. And that is letting go. And letting go is forgiving.